This entry was posted in Uncategorized and tagged ancient history, aspartame, belief systems, beliefs, consumerism, corruption, diease, doctors, escapism, exploitation, fiat dollars, fluoridated water, for-profit, Fracking, fractional reserve, Fukushima, GMOs, guns, healthcare matrix, history hijacked, human experience, liberation, local news scripted, mainstream news, Matrix, Media, mental health, mind control, mindless, modern science, money, MSG, personal repsonsibilty, pharmacy, phony, politics, question, sick care, Slavery, Slaves, spiritual being, sports, survellance, taxation without representation, taxes, trivia, TV, united, work. Bookmark the permalink. Wow, I only do #1 because if I don’t they will drag me to the klink,,,,,,but as it is, I really pay very little tax as it is, as I am so darn poor the government thus far has given the tax I had taken back to me, Lol,,,,,,,,,guess I am just lucky. Never did the other #.s and do not intend to start now. I think this is an excellent article and I love it! With that said, I do have a lot to say about it but for people who are not familiar with me and my journey it will not make much sense. I think this is a vital article that needs wide distribution. The one comment pertaining to my own life that I will share is that I do drink fluoridated water knowingly. But that is because my body is not suspectible to fluoride any longer and it does not affect me. However, I don’t widely advertise drinking it because it is misleading to assume that this is the case for all. It is extremely detrimental to the current vibration of the masses and we would do well to end the fluoridation of the water supply. I filter my drinking water, but showering is maybe as bad as drinking it. Your skin pores are open and that stuff is getting in your body, not to mention arsenic and other heavy metals. Hmmmm…good point. I’ll have to look at some alternatives. 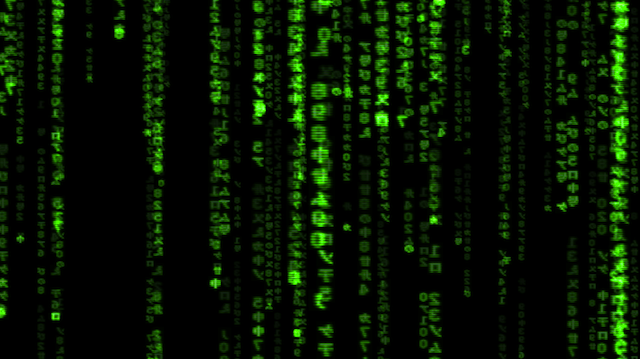 ”Not meant to be overtly critical of anyone’s lifestyle choices or personal situation, the following 16 signs that you’re a slave to the matrix are meant purely as observational” – I think the author is informing us with indicators that we are enslaved to the matrix, not that we should stop doing what might be impossible to do ——- thus enslaved. I believe the purpose of this is mainly awareness. You could have added: You feel disinterested when anyone, be they a friend or relative or complete stranger begin to speak about things within this list. Nice work hipmonkey. I concur.